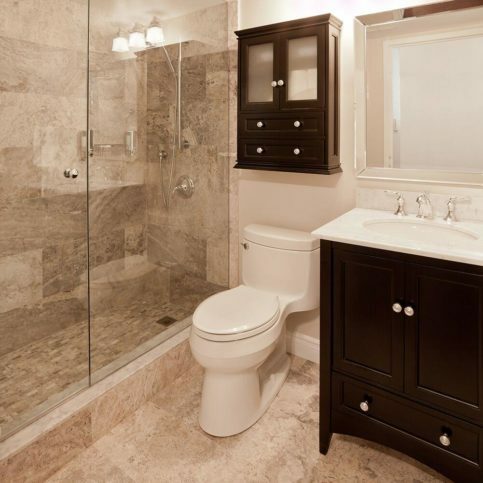 Schicker Luxury Shower Doors, Inc. designs, manufactures, and installs shower enclosures for residential and commercial customers throughout the Bay Area. 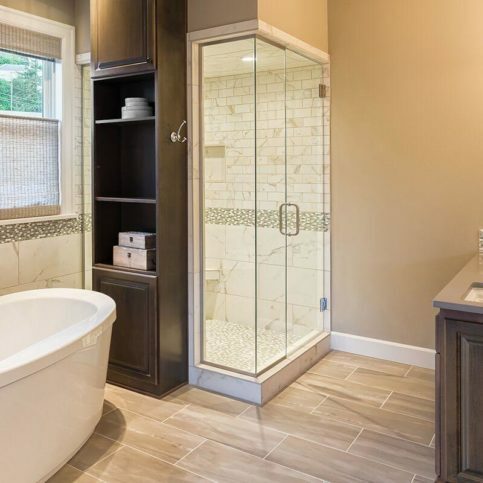 In addition to installing shower doors that feature a wide variety of glass patterns, metal finishes and hardware designs, the company can create custom enclosures that are built to clients’ exact measurements and specifications. President Peter Schicker established Schicker Luxury Shower Doors in 1980 after noticing a growing need in the bathroom remodeling market. Since then, the company has developed into a prosperous enterprise, with more than 20 employees and a fleet of fully stocked installation vans. Today, its products can be viewed in remodeling showrooms throughout the Greater Bay Area. 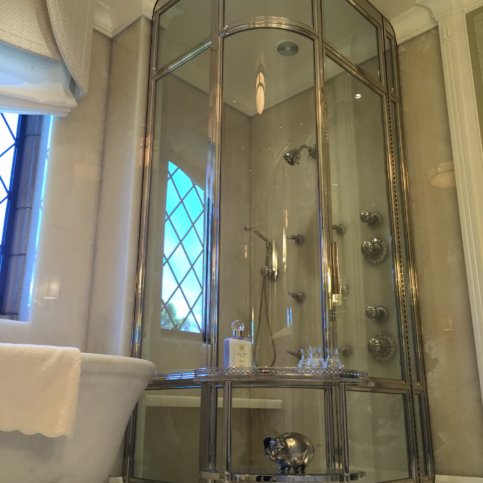 DIAMOND CERTIFIED RESEARCHED CAPABILITIES ON Schicker Luxury Shower Doors, Inc.
Company Name: Schicker Luxury Shower Doors, Inc.
DIAMOND CERTIFIED RESEARCHED ARTICLES ON Schicker Luxury Shower Doors, Inc.
Schicker Luxury Shower Doors recently installed this shower enclosure. Schicker Luxury Shower Doors has been designing, manufacturing, and installing shower enclosures for residential and commercial clients throughout the Bay Area and Sacramento since 1980. 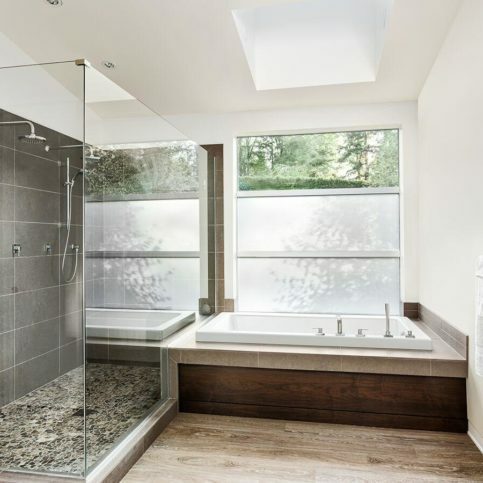 The company primarily focuses on installing shower doors that feature a variety of glass patterns, metal finishes and hardware designs, but it can also create custom enclosures that are built to clients’ exact specifications. If you’re planning to age in place in your home, prioritize making your bathroom as safe as possible. More and more senior citizens are choosing to age in place and stay in their own homes rather than move to care facilities. Similarly, more families are welcoming aging parents and grandparents into their homes. One of the most common safety hazards for aging residents is bathrooms, especially for those who have physical handicaps. Slippery showers and bathtubs account for thousands of injuries every year. To prevent this, many people opt to install safer showers and tubs in their homes. However, some are disappointed to see that the most common safety tub options don’t fit their aesthetic sensibilities. Q: How much will it cost to install my new shower door? A: It depends on several factors, but we’ll give you an estimate for your project before any work begins. Ultimately, we want to give you the best value for your money. Our bids may be a little more expensive than some companies, but the quality we provide makes it worthwhile over time. Q: How quickly can you do the installation? A: If your enclosure has some frame and thinner glass, it’ll take one to two weeks to install. Frameless units with heavier glass take two to three weeks. Either way, we’ll set realistic expectations for your project and be honest with you about how long it will take. Q: How long will my shower enclosure last? A: That depends on the type of product you choose. Every product has different components, and all components have different life expectancies. Some enclosures are frameless, but some have silicon seals around units and clear vinyl seals between sections of glass, which will have to be repaired or replaced at some point. Product life expectancy also depends on how often you use the shower, the types of products you use in the shower, the type of ventilation in the room, the wall surfaces and sealants on those surfaces, and whether you have hard or soft water. Q: Are your products safe and secure? A: Absolutely. We work closely with building inspectors, know all the necessary codes and implement industry-best installation methods. For example, some companies use silicone to secure glass, but if there aren’t mechanical fasteners as well, the silicone will fail. We always make sure our units are safe. If one piece fails, there’s always a backup measure that ensures the unit is sound. Also, we only accept the best materials from our suppliers—if a glass product is damaged or cut incorrectly, we’ll reject it. Q: Can you explain all of my options? A: Yes, we’ll give you as much information as we can about the different products that are available. For example, some types of glass are completely clear while others have a bit of a green tint because of the thickness of the glass. Once we determine your needs, we’ll help you make the best choice for your situation. SELECTED PHOTOS FROM Schicker Luxury Shower Doors, Inc.
Schicker Luxury Shower Doors added glass on both sides of this corner frameless shower door to make the bathroom feel larger. Schicker Luxury Shower Doors manufactured this frameless shower door to allow maximum light in the shower and make the bathroom feel larger. This custom frameless shower door was designed to make the bathroom feel larger. Schicker Luxury Shower Doors added Diamon-Fusion® coating to this frameless shower door to make it easy to maintain. Schicker Luxury Shower Doors installed this frameless shower door to give the appearance of a larger bathroom. Schicker Luxury Shower Doors customizes shower doors for each home based on the size of the bathroom and the needs of the homeowner. 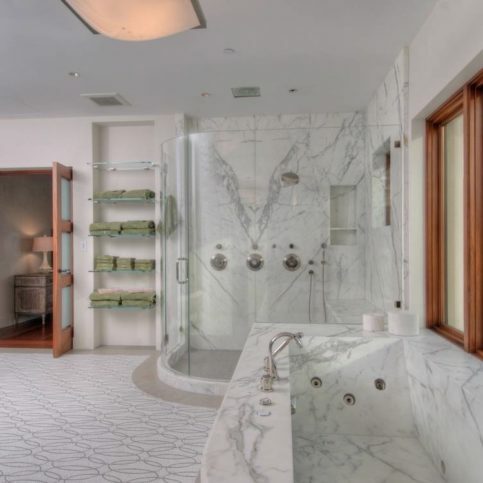 Schicker Luxury Shower Doors worked on this marble bathroom in a home in Emeryville that overlooks San Francisco. Schicker Luxury Shower Doors custom designed this Peninsula Brass shower enclosure with rounded glass and brass. The company worked with an architect to develop the customer’s vision. Joe Matthews is a longtime veteran of the shower enclosure industry and general manager of Schicker Luxury Shower Doors, Inc., a Diamond Certified company. He can be reached at (925) 676-5040 or by email. A resident of Vallejo (where he lives with his wife, Camille), Joe enjoys being situated amidst the diverse Bay Area setting. “We have so much in the Bay Area—any direction you go, there’s something of interest,” he says. “My wife and I like going on little jaunts around the area, whether to the coast, the forest, the wine country or a nearby town to try a new restaurant.” Joe also likes spending time at his mountain cabin, working in his garden, and hanging out with his and Camille’s three grown sons. A: I played football and pole-vaulted. A: Find a nice restaurant and order a bowl of hot soup. 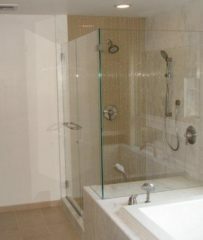 CONCORD — One of the most critical parts of remodeling a bathroom is designing the shower enclosure. Due to the importance of both aesthetic and functional aspects, it’s important to choose a visually appealing design that also serves your specific needs. Fortunately, in today’s market, there are many shower design options to choose from. One crucial aesthetic choice is whether to go with a framed or frameless enclosure. While a framed enclosure is a more conventional option, a frameless enclosure is a good choice for a modern and/or minimalist design. Going frameless is also optimal for a shower that features ornate tile or stonework, since there are no frames or channels to detract from the view. Another important consideration is door design and orientation. If you have small children who need assistance with bathing, a swinging door situated midway of the tub’s length is a good option, as it will permit full access to the tub. In smaller bathrooms where toilets or vanities present obstacles, a swinging door may not work, in which case a sliding door may be best. Fortunately, sliders can also be custom-designed. They can even be curved to accommodate a round bathing area. One increasingly popular design option is to fully enclose the shower for the purpose of steam encapsulation, which creates a spa-like atmosphere. A common feature of these shower enclosures is an operative transom above the door, which can either be kept closed to hold in the steam or opened to let it escape. By providing ventilation when desired, this feature allows for a fully customizable bathing experience. CONCORD — Host, Sarah Rutan: When planning for a new shower enclosure, it’s good to learn the full extent of your design options. Today we’re in Concord with Diamond Certified Expert Contributor Joe Matthews of Schicker Luxury Shower Doors to learn more. Diamond Certified Expert Contributor, Joe Matthews: Aesthetics are very important when considering a shower door purchase. Most people aren’t aware of the wide range, and variety, and options that they have at their disposal when purchasing a shower door, whether it be a walk-in shower, or a tub application. Something framed, something completely frameless. Here’s a good instance of a completely frameless shower. A hinged door. Very clean, very modern. There’s no frames or channels that it’s going to hide the nice tile or stonework that you’ve done. So, it’s a very good, nice, easy-to-use, clean option. Now, let’s go over here and take a look at another. Maybe you’ve got a smaller bathroom, or there’s obstacles, such as a toilet or a vanity. And a swinging door isn’t going to work in the room. The next option here is a slider. This one, one panel slides behind the other. It gives you the access. This model itself has bent glass. So, it’s very attractive. It has the curved pan. It gives you a little bit more room inside. So, when you’re showering you’re not as cramped. So, it’s a very nice option as well. Maybe you have a small child that needs assistance while bathing. This is a perfect model for that type of a situation. In the closed position you’ve got coverage for the shower, but when it’s time to take that bath for the child, swing the door open. You have full access to the entire tub. It makes it very easy, clean, and simple. Let’s look at some more options. More and more people are turning their bathroom into their own little spa experience while they’re doing a remodel, adding things like steam generators and enclosures to create their own little oasis. Here is your example of a steam enclosure. We have the hinged door. Nice easy access to get in and out. This one has the operative transom above as well, so that you can open this up on the days when you don’t want it hot and steamy in there, to ventilate after use. And don’t forget, during your remodel, it’s very important to keep the shower door in mind during the process. You want it to be something that’s both aesthetically pleasing and long-lasting, and easy to use. Happy remodeling. Diamond Certified RATINGS ON Schicker Luxury Shower Doors, Inc.
Schicker Luxury Shower Doors, Inc. : Average 9.6 out of 10 based on 173 unique customer surveys of customer satisfaction. We are repeat customers and have used them many times. I would tell everyone not to use anyone else. They are worth every penny. Their customer service was outstanding. I would say very high quality with great service, someone also called before the installation and asked us to confirm the style of door that we wanted just to make sure it was correct. We did a quick sketch, got it over to them, and now we have a beautifully cut glass shower door. We love it. I would just say that we love our shower door. They were very helpful and very fast. They had everything in stock. They got the job done. I really liked the work that they did. They were really good. The shower door is great. We really like it. I really can't think of anything specific. They provided a good customer experience, a great product, and we are very happy with the results. I have used them many times now. They are pleasant, and I would hire them again. They are also efficient and provide high quality work. Nothing in particular really stands out. They were always prompt, helpful, and they cleaned up. They did a great job. I would say the quick job stood out for me. We really liked the product in the showroom, and everything went really well. I would say the actual design stood out for us. I would say to go with them. I really loved the product. It was a very professional unit. The job was pretty straightforward. They were a good company with a good product. The scheduling and convenience stood out for me. They were very courteous, fast, and dependable. They were on time. They came in and got the job done. I tell other contractors that the quality is excellent, and their prices are competitive. I like the fact that they pick up the phone, they give me a general quote, and I don't have to wait to schedule the work. The doors were very high quality, and they were installed professionally. They were very punctual. We had a leak, but they came back and fixed it, no questions asked. They did an excellent job with excellent follow-up. They always check and make sure everything is okay. Also, they do a yearly maintenance and re-caulking. We have recommended them to around seven other people. I would say the fact that they lived up to everything they said they would do. They were also very prompt when calling for appointments. You didn't have to wait an enormous amount of time to get an appointment. They were very professional, well-organized, outstanding, and had great craftsmanship. They have great interpersonal skills.